With new champions crowned and another winter season in the books, 40 athletes were honored by being named to this year’s boys' basketball all-tournament teams Saturday at the Target Center in Minneapolis. 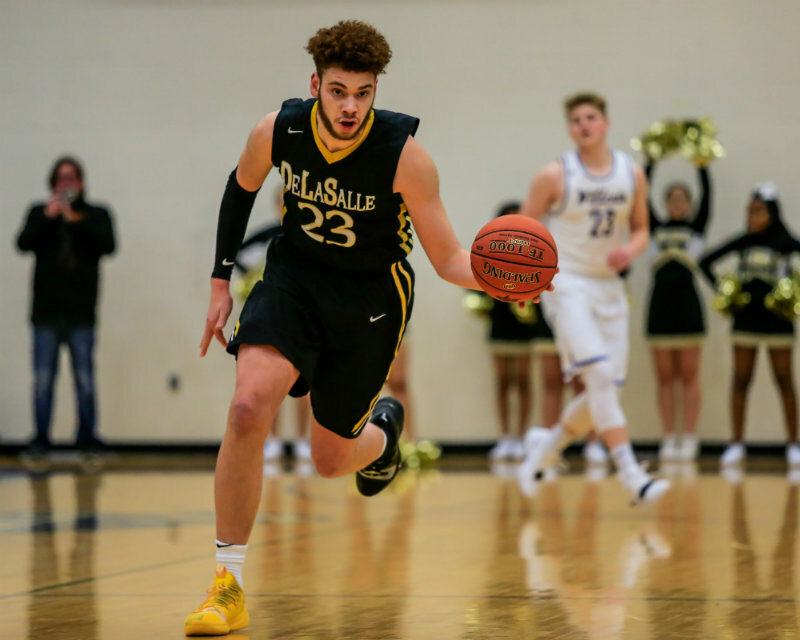 In Class 3A, DeLaSalle won its seventh state championship in eight years after fending off a pesky Waseca team 63-56. The Islanders were powered by three all-tourney selections in forward Jamison Battle, and guards Tyrell Terry and Kameron Givens. Battle, a 6-foot-7 George Washington commit, registered 25 points, 4.2 rebounds and 2.2 steals per game during the tournament. From the field, he shot 73 percent and connected on 11 of 16 three-point shots. Like he had throughout the season, Terry, a Mr. Basketball and McDonald Award finalist, formed a dynamic one-two punch with Battle, producing 18.7 points, 8 rebounds and 6.6 assists a game. In the victory over Waseca, he dished 10 helpers. Givens, meanwhile, complimented his teammates with 11.7 ppg. The Bluejays were guided to a runner-up finish behind the efforts of three tournament honorees in guard Malik Willingham, center Andrew Morgan and forward Kyreese Willingham. Malik scored his 2,000th career point in the championship game. Going into halftime ahead of East Ridge by two points in a Class 4A semifinal, Hopkins’ season appeared to be at a crossroads. Then, Zeke Nnaji, the 6-foot-10 Star Tribune Metro Player of the Year who is committed to Arizona, helped the Royals outscore the Raptors 45-23 in the second half to win. Nnaji tallied a game-high 23 points, and followed that performance with 14 points, 12 rebounds and a trio of blocked shots in his team’s 55-40 victory over Lakeville North. The win gave Hopkins its first state title since 2016, a year in which the Royals also beat the Panthers to claim the hardware. In addition to Nnaji, Hopkins' Dane Zimmer, a forward, and guard Kerwin Walton were honored. Guards Tommy Jensen, Tyler Wahl and forward Jack Rusch were selected from Lakeville North. The all-tournament teams were presented by Wells Fargo with the Minnesota State High School League. Click through the tabs below to see who was selected to the team for each class.